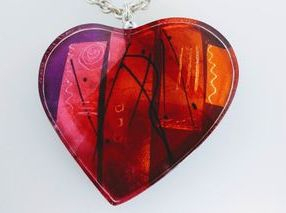 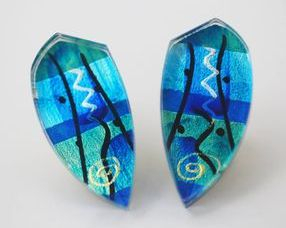 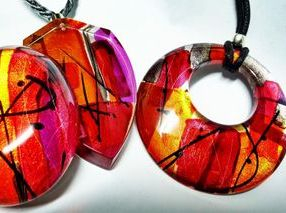 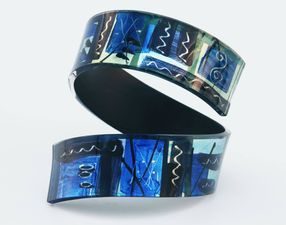 Gail loves art and she is most excited by making interesting yet practical jewellery designs that people enjoy wearing and bring them compliments. 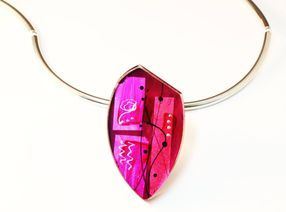 She produces a wide variety of jewellery including items that can be used every day, as well as more formal designs for special occasions and items in between. 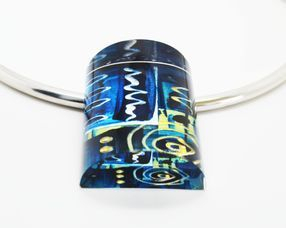 Gail takes inspiration from many different sources; from nature, from ethnic traditions, from the ideas of various artists and artistic movements, modern architecture and the wallpaper and textile designs of the 1950’s. 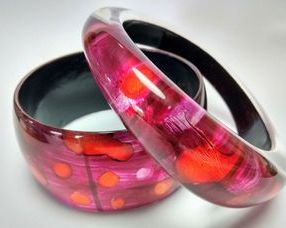 She finds acrylic (aka Perspex, Lucite, Plexiglass, PMMA) the most fascinating and versatile of 3-D media. 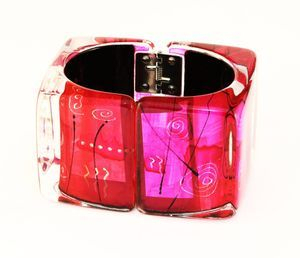 It combines deep transparency and intense clarity with the most surprising reflectivity from internal surfaces. 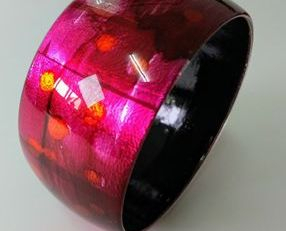 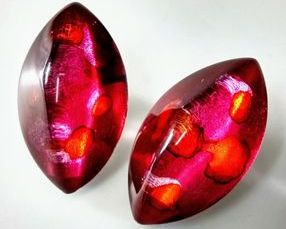 It is capable of capturing light and colour and form and reflecting it back in myriad ways.